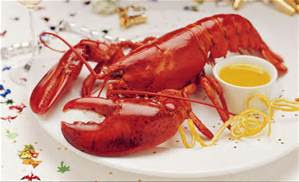 The gloves are off in the supermarket price war - you can now buy a lobster for as little as £2.99. 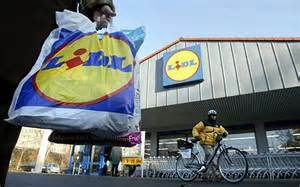 Lidl has launched a voucher deal called 'Lidl Surprises' and the lobster promotion is a response to a 70% fall in wholesale prices. Lobster numbers have surged because of a decline in predators such as cod and higher sea temperatures have encouraged lobster growth. Morrisons supermarket is currently selling lobster at £4 each, while Iceland is offering packs for £4.99. But those being sold by Lidl are certified by the Marine Stewardship Council and come from waters off New Brunswick in Canada. They are cooked and frozen before being flown to the UK. Fishing which relies on bait traps, is restricted to just two months a year to protect the stock and make sure the catch is in prime condition. Lobster from Scotland or Cornish waters command a higher price, in the region of £20 to £30 each, because of strict catch limits. You will only have to shell out £2.99, so get your lobster caught from Lidl today!